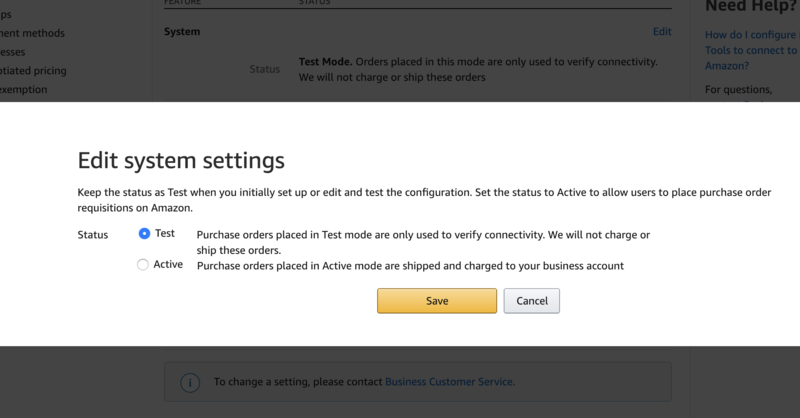 After you have created a purchase order or if you just want to set up ahead of time, you can configure your Amazon Business connection in the Settings > Integrations or the orders area of the application. You will be prompted with a modal that asks you to fill in your Amazon Business information. If you do not have an account yet, you can sign up for a free Amazon Business account too. 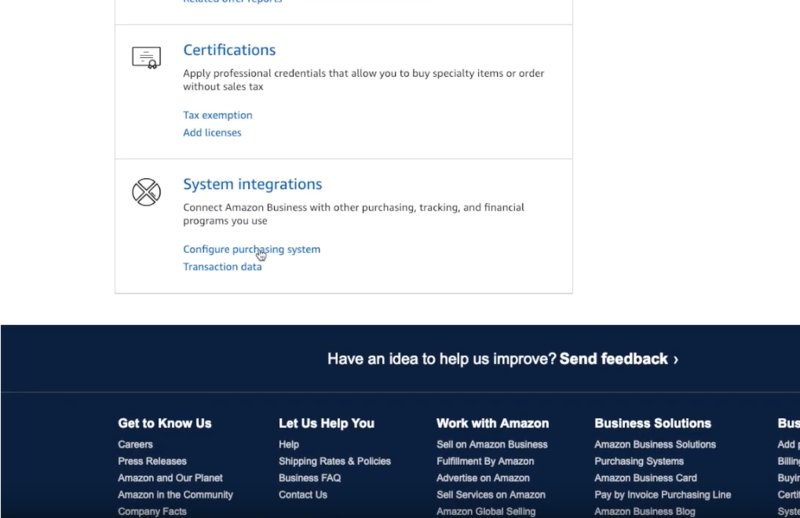 Go to Amazon Business, hover over your name and then to your Business Settings. This will include 4 steps Intro, Select, Configure, and Complete. The important steps here is in the select step to select D-Tools as the Purchasing System. You can ignore configure as you will get this information later. Then you will want to copy over the information from this Complete settings to your D-Tools modal. Make sure you copy over the following information correctly. 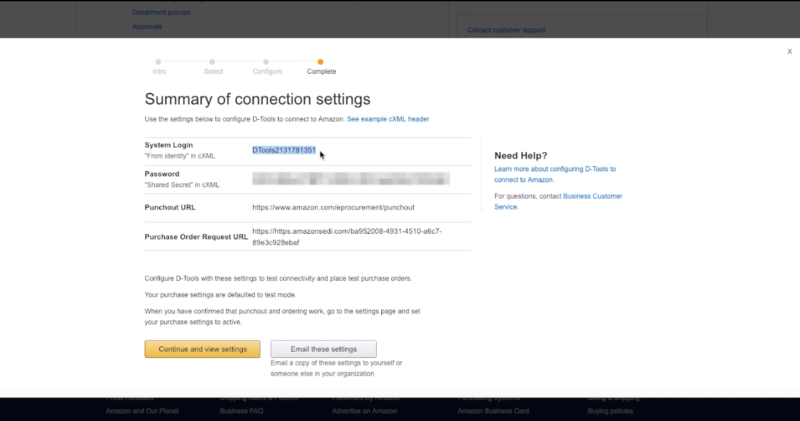 This will now send over a request to Amazon Business where they will confirm your account and allow you to order directly through Amazon Business integration. This shouldn't take more than 48 hours. 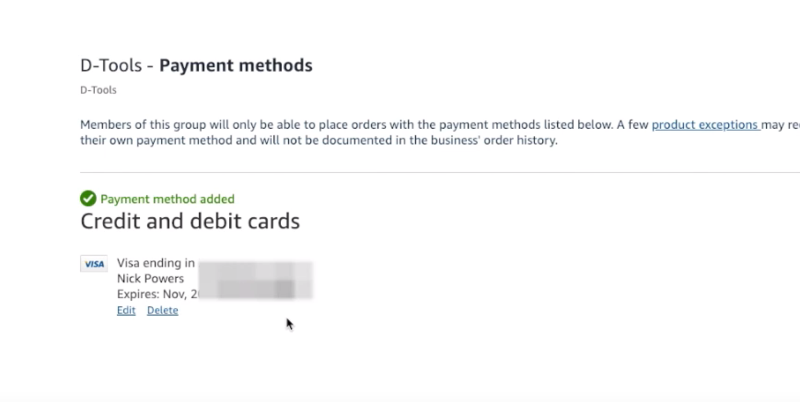 To have items purchased directly through D-Tools Amazon Business integration, you will need to set up a payment method. This is a shared payment method that allows it to be shared with your D-Tools account. To configure, go to Business Settings > Shared Settings (Under Billing & Shipping). Then go and change from Individual to Shared. You can enter your credit card information here or Amazon corporate credit line. 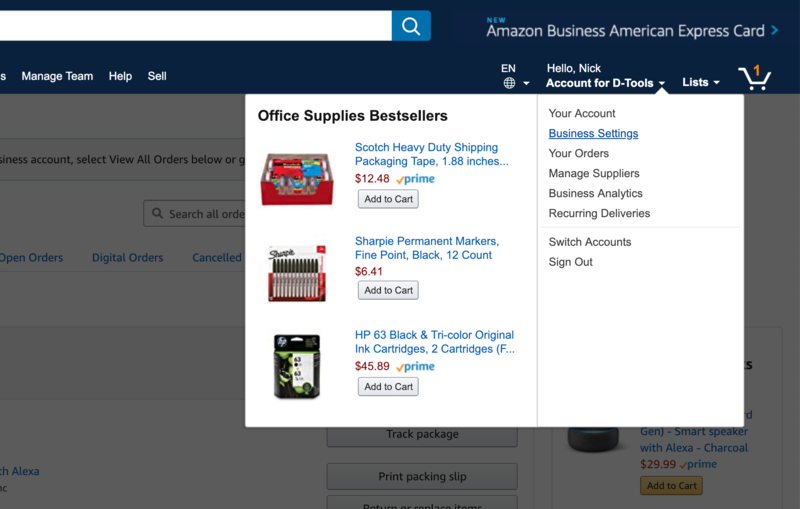 Amazon Business has a purchasing mode. You can get to this by going to Business Settings > Purchasing System. Here you will see a System Status. You will see the system status is set to Test Mode. What this does is runs a test order where it sees if the integration was set up correctly. You will receive an email letting your know if the test order was sent successfully or if there was an error. After you are comfortable with testing the integration, you can change this to active. Important, THIS WILL SEND ORDERS THROUGH AMAZON BUSINESS so make sure you are happy with your test orders.